A few weeks back we hinted at a wedding which we had been lucky enough to work on at the stunning Lulworth Castle, Dorset, and today we can bring you images and a little more background into this beautiful day for Ian and Scotty. Thank you to John Howarth of Columbia Photography and to Ian and Scotty for allowing to feature these beautiful images from their day. Our couple were searching for a venue outside of London which would present them and their guests with the “wow” factor and it really helped swing it that this stunning Castle just happens to be surrounded by beautiful rolling countryside, not far from the coast which was important to the Groom and we could have sheep incorporated into the day in more ways than one! 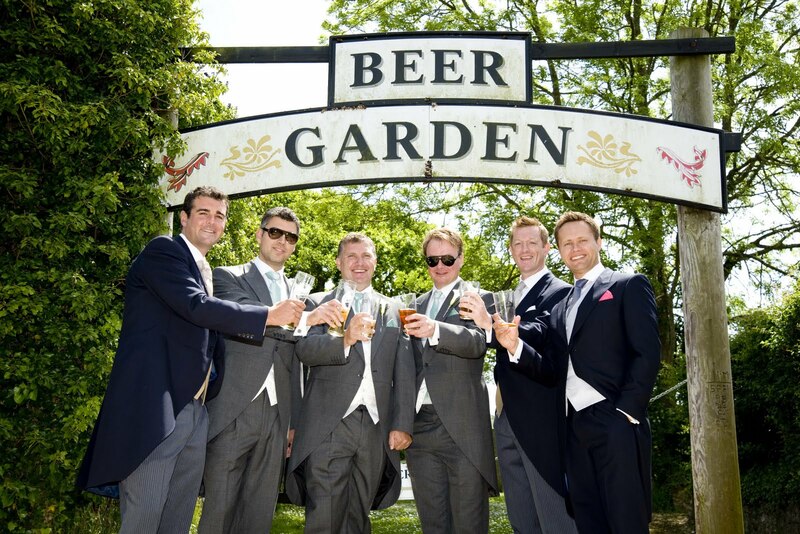 The guys getting ready – well – in the most appropriate way! 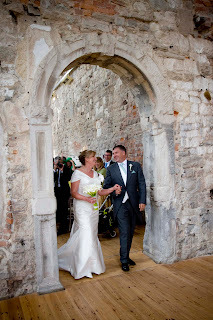 The Bride and Groom and some of their guests were very wise in having chosen the most wonderful local house to stay in for a long weekend over the wedding so they were really close to the Castle and could all relax in the build up to the wedding. We all met the night before for a rehearsal at the Castle and we started to set up a few things the night before and then the next day the Bride and Groom could relax and get ready whilst we were at Castle with the florists and the Castle staff and the caterers which was provided by the ever fabulous Beales Gourmet who are a relatively new addition to the approved caterers at the Castle and were about to embark on their first wedding at the Castle for Ian and Scotty followed by another wedding the following day. 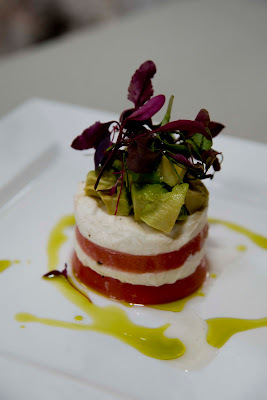 And what a feast lay ahead for the guests! The ceremony had a really lovely feel about it with some great music chosen by Ian and Scotty. They also asked a close friend to play the piano during the ceremony and another close friend who just happens to be a professional singer who sang a stunning version of “All I Ask of You” from Phantom of the Opera which was very emotional and brought something very personal to the ceremony. 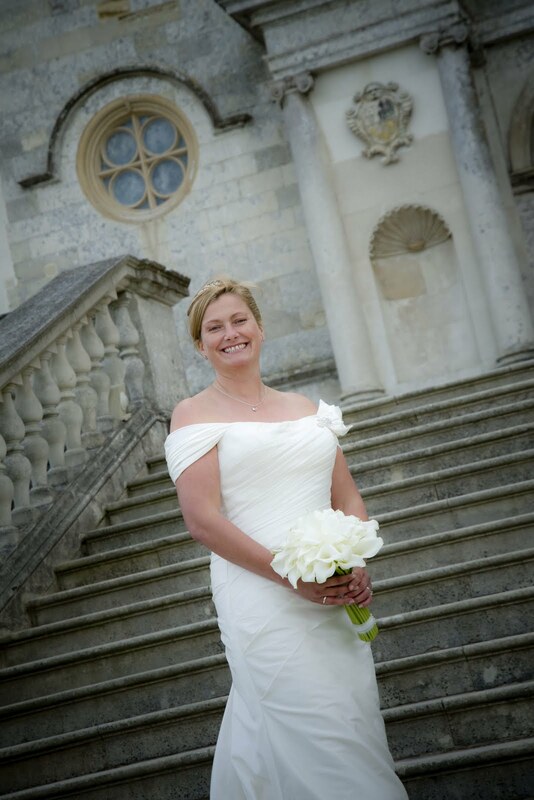 After the ceremony the guests were treated to cocktails and bubbly on the lawn and we were blessed with a sunny (if a little windy!) day on the back lawns behind the Castle. 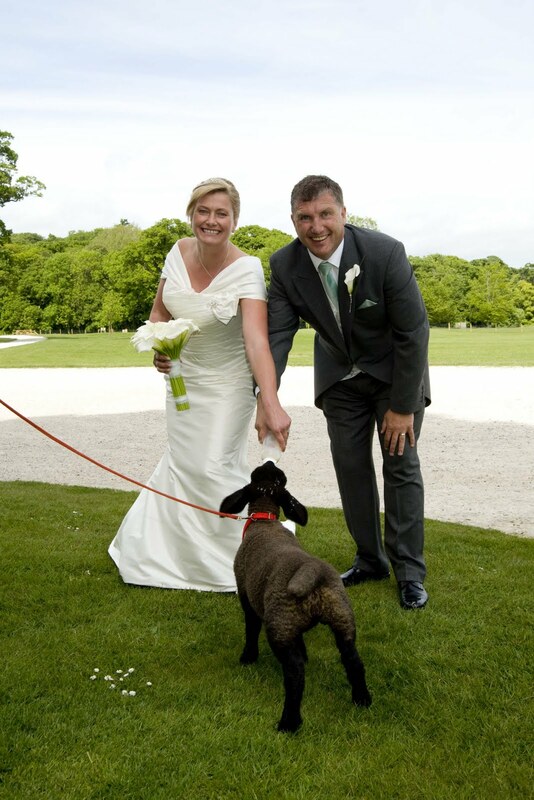 Guests were entertained with croquet and other garden games and the Bride and Groom got to have photos taken with the all important sheep which was a must to be part of their day! 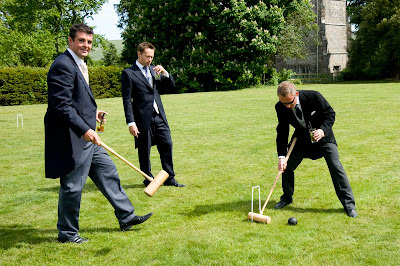 Well I think these chaps look like they are enjoying themselves having a go at one handed croquet! Its multi-tasking though! Love this one – Bride and Groom feeding Larry the Lamb! The wedding breakfast began with the guests bursting into song before food was served – the words for Jerusalem had been sneaked into their napkins and we have to say that the guests all took part and did a grand job! 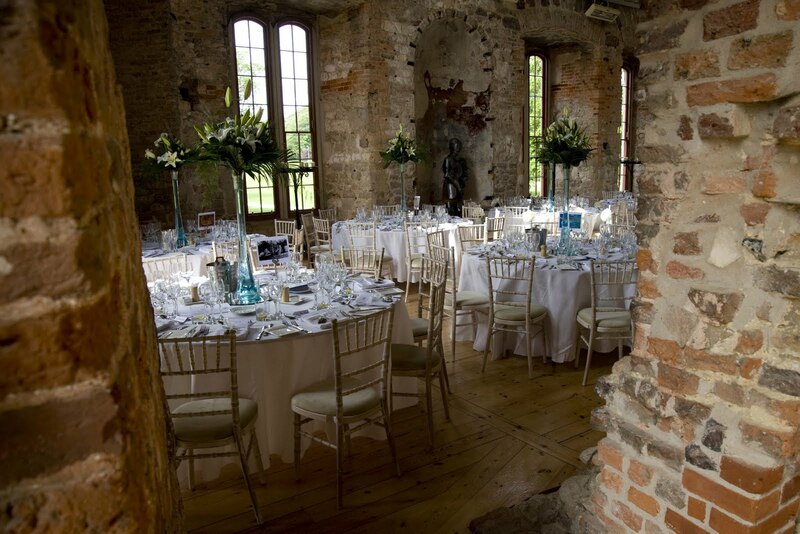 The dining room ready and waiting for the guests – simple and elegant dressing with the Bride and Groom’s chosen colours of Cambridge Blue complete with a chocolate lamb on each place setting to continue with the lamb theme! What followed was a wonderful selection of dishes – ignore the next few images if you are hungry! For their main course the guests were treated to a trio of lamb and a chocolate dessert and following the cake cutting it was on to another very important part of the day – the party! 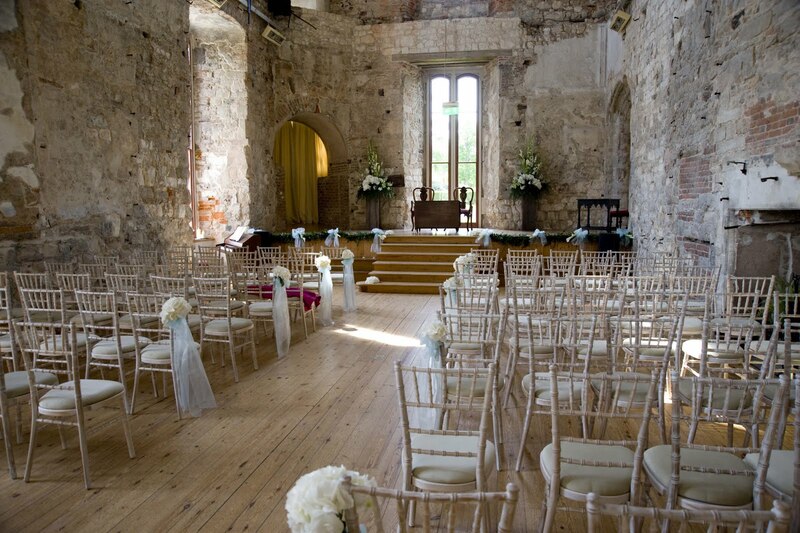 The Castle was such a great venue to work with. 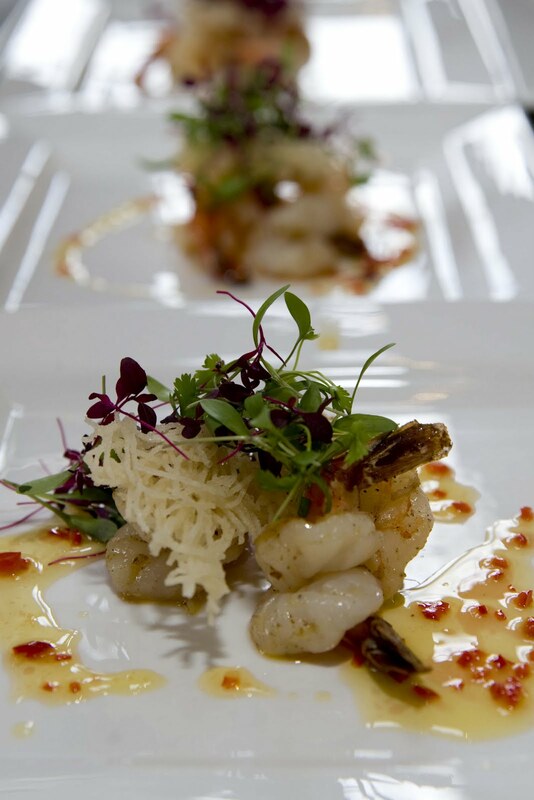 The staff were really accommodating and whilst we have worked with Beales Gourmet many times before at their resident venue The Italian Villa and on outside marquee weddings and events it was great to work with them here. The food was amazing with so many great comments from the guests and in the evening the guests got to feast again with a hog roast with all the trimmings and a beautifully displayed cheese board and the all important cake! 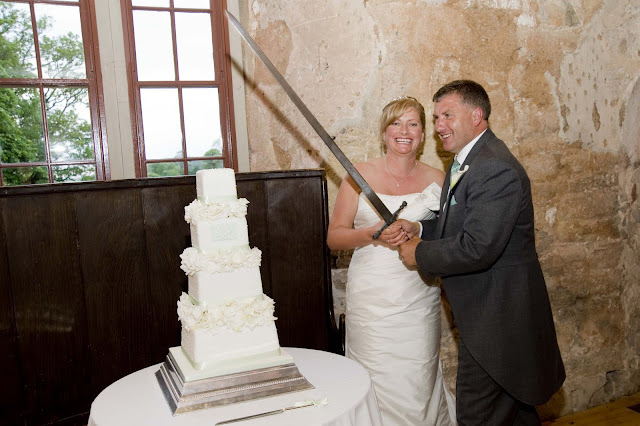 Cake cutting with the Castle Sword! Very brave! 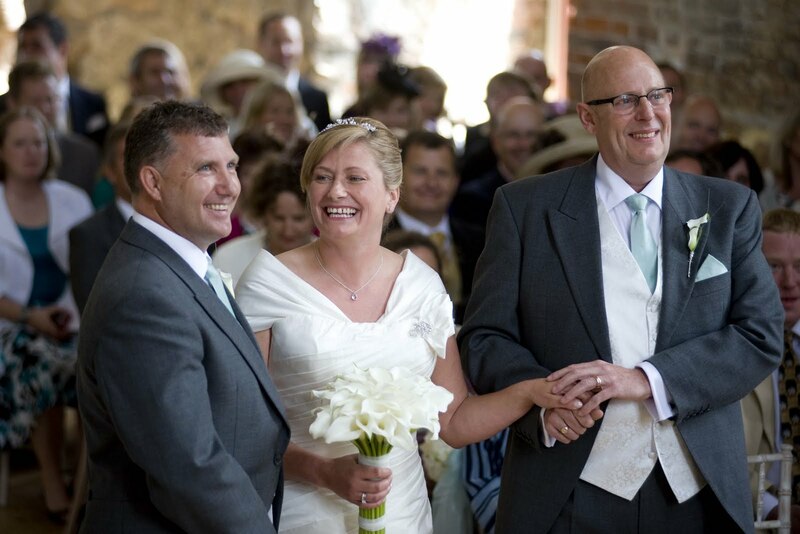 This wedding was such a pleasure to work on. There were some distance issues to get around as Ian and Scotty are not local to us or the venue so we set about booking supplier and venue visits and meetings grouped together at weekends or meeting part way between here and them! 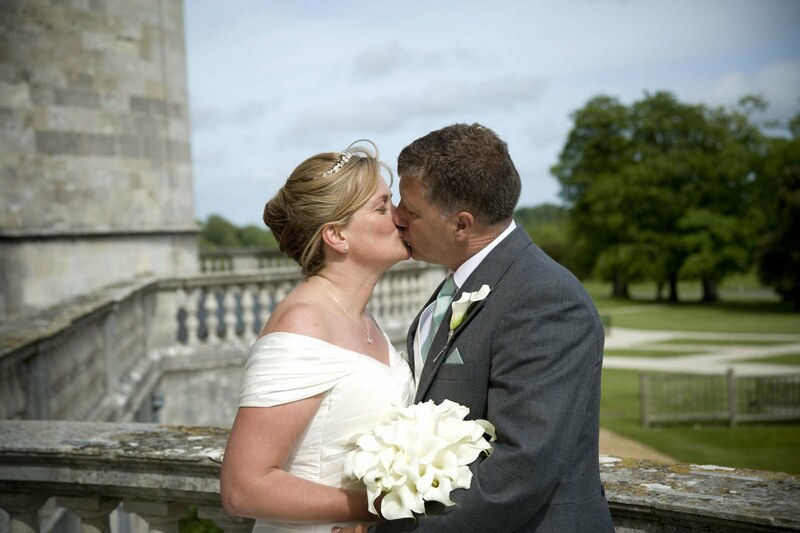 We work a lot on phone and email and keep our couples updated with timelines and progress reports and it works well. Ian and Scotty had some definite plans on what they wanted and decided to deal with some of the planning themselves so we fitted around what they wanted. 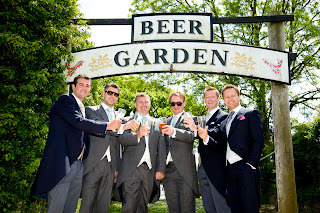 They and their guests were such fun on the day and it was all about having a great day and a great party.